Swim and eat in this underwater game. 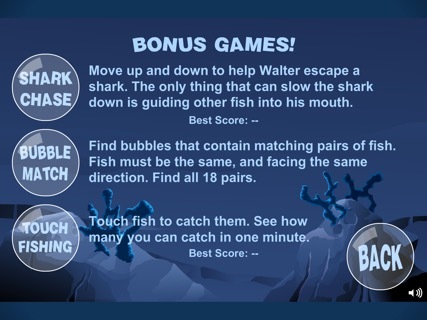 It's a fish-eat-fish world in your iPhone, iPod or iPad! 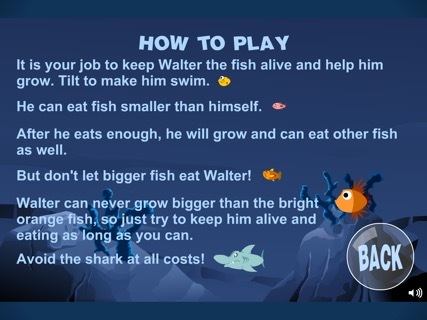 Try to help Walter the fish avoid the bigger fish and eat the smaller ones to help him grow. But look out for the Shark, he's always out to get you. 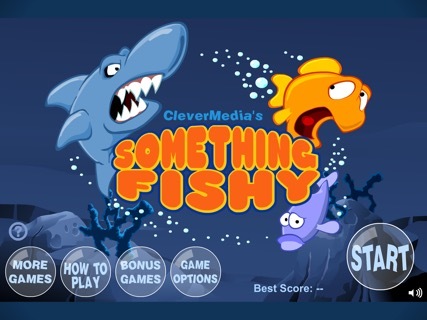 Something Fishy is one of CleverMedia's original hit games for the Web. Originally produced in 1997, this new iPhone version includes three bonus games staring Walter and his friends. 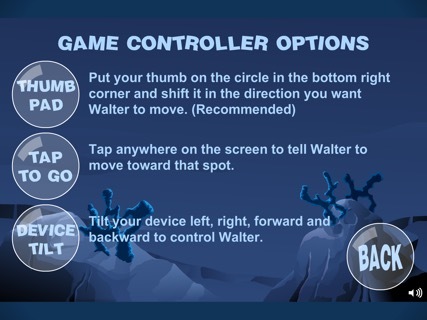 This new iOS version of the game features three different ways to control Walter. You can use an on-screen joystick controller to move him around with your thumb. You can also just tap on the screen to make Walter move in that direction. You can still use tilt controls like the in original game as well. 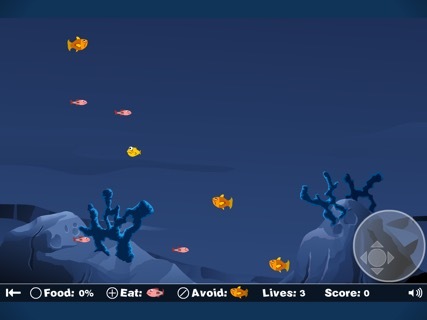 Something Fishy is a fun, addictive distraction for adults and children alike.